Your event speaks volumes about you and your organization. You want your attendees to view it as well organized, efficient, important and successful. It needs to run smoothly because it is a reflection on you. McGargill Meetings & Events (MM&E) has the knowledge and industry connections to make this a reality. With more than 15 years of corporate event planning experience, MM&E has a proven track record of making sure that your event goes off without a hitch. We have developed the vendor relationships to help with every facet of your event. We serve as a trusted resource for your business. Outsourcing your event planning frees up your employees to focus on their core responsibilities, reduces employee stress, and results in a seamless event. Meeting and event planning can be a stressful endeavor with unforeseen circumstances. Things pop up at the last minute, leaving the unsuspecting in a state of chaos and turmoil. MM&E is always ready with a “Plan B” to keep your event running smoothly. We have a streamlined approach and a proven communication and event strategy designed to help you maximize the impact of your event. Choosing MM&E means a stress-free event from start to finish. 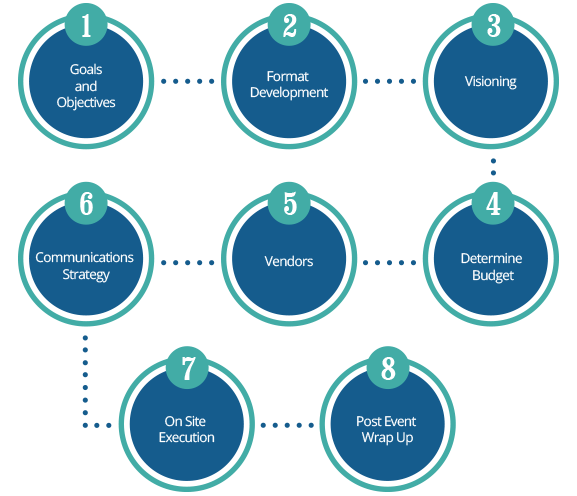 We handle all aspects of planning: budget, vendor management, communications, onsite execution, and post-event reconciliation. 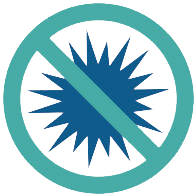 This means you are free to concentrate on other aspects of running your business. We will ensure the success of your event, and your attendees walk away with a positive image of your business or organization. To find out more or to hire us for your next event, contact us today! McGargill Meetings & Events offers a full range of services and specialties.